First Novels Club: Want a signed, personalized copy of INSIDE OUT? Stay tuned! 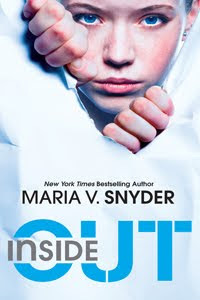 Next week, the First Novels Club will be hosting a guest blog from Maria V. Snyder AND she's agreed to send a signed and personalized copy of her new release INSIDE OUT to one lucky follower! Are you excited? We are! Thanks, Maria! Haven't heard of INSIDE OUT? Hop out from under that rock, check out the website, and read an excerpt! 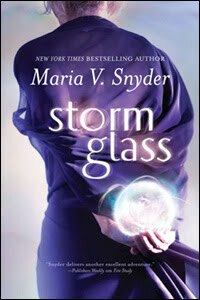 What's your favorite Maria V. Snyder book? I still love Poison Study the best, but Inside Out may be stiff competition. And soon Spy Glass is coming out! Eek! * Fun fact: Maria graduated from my high school in Philadelphia! Ooh, can't wait for the interview. Some great things happening on this blog! I'm excited! I love Maria's books and I'm so glad to see the promotion that Inside Out is getting! 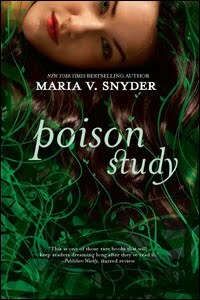 I loved Poison study it was such a fantastic book! Oh, that'll be cool! I look forward to it! I loved this book. Maria is awesome...she is so wonderful to the blogging community!